A design project from NLE architects, a pioneering sustainable development for the waterfront slums community of Lagos, Nigeria. 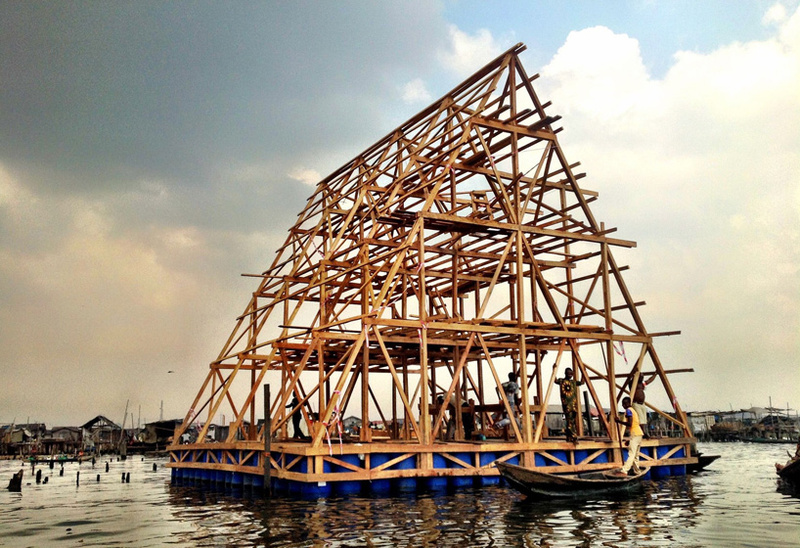 Makoko Floating School is a prototype floating structure located on the lagoon heart of Nigeria’s largest city, Lagos. 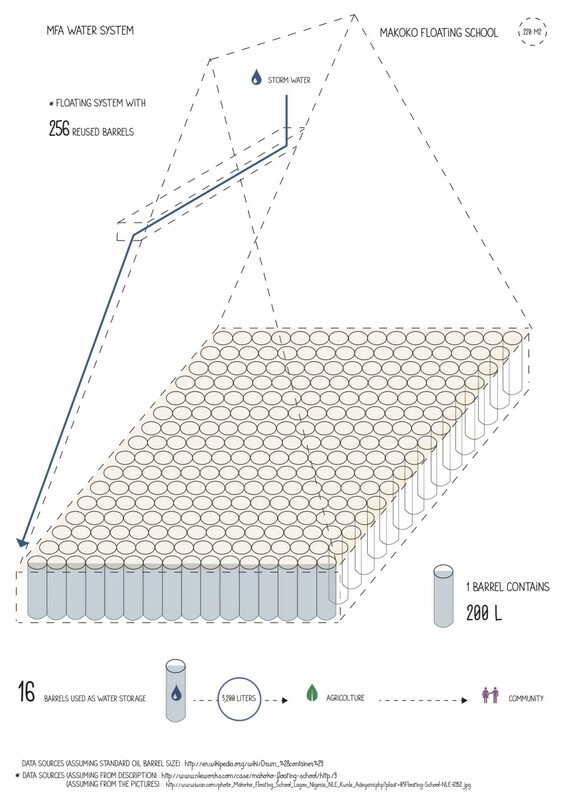 The floating structure adapts to the tidal changes and varying water levels, making it invulnerable to flooding and storm surges. 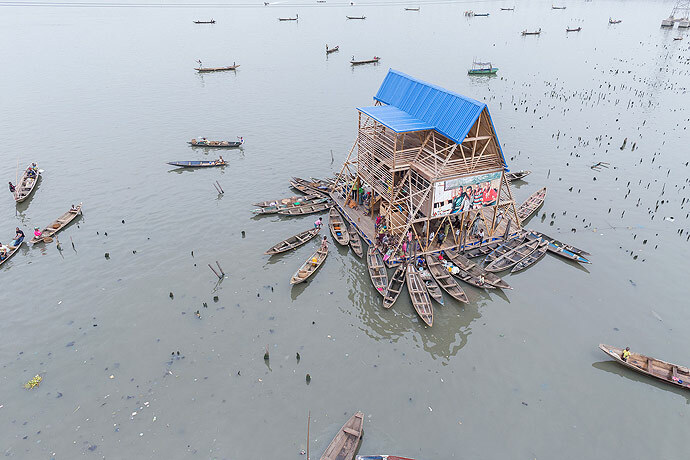 The Dutch/Nigerian architecture studio analyses the situation of Lagos lagoon and adapts its design to the needs of the community. The project has been thought as a pilot project for the future of this village. 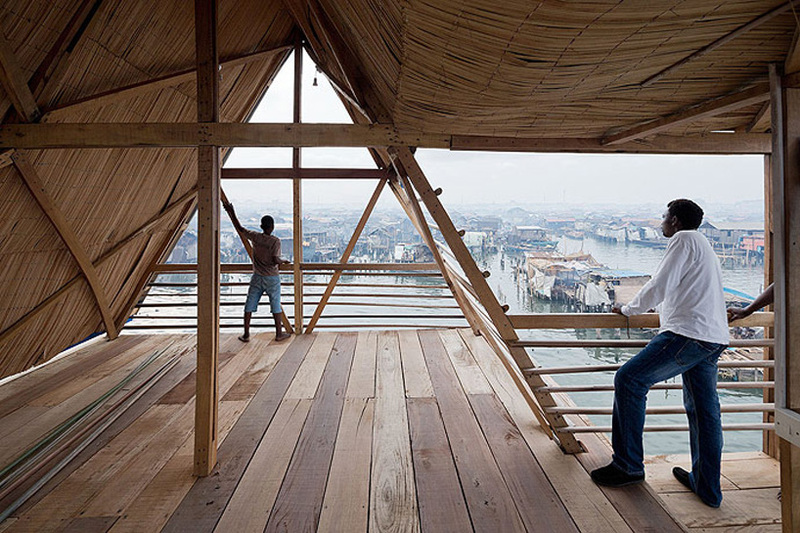 They designed a unique structure that can be repeated in series in order to change over time the current living situation of the inhabitants of Makoko. 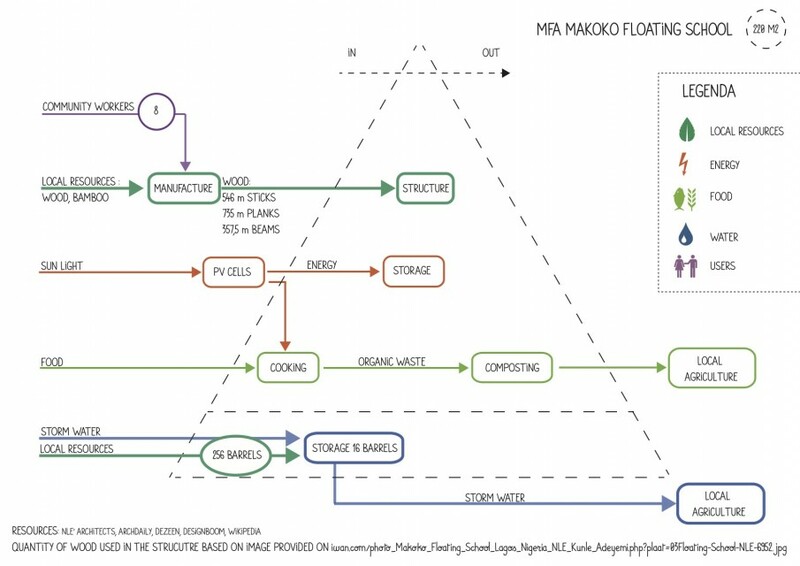 Makoko floating school is a sustainable project, it has been designed to use renewable energy, to recycle organic waste and to harvest rainwater, as well as promoting low carbon transport. 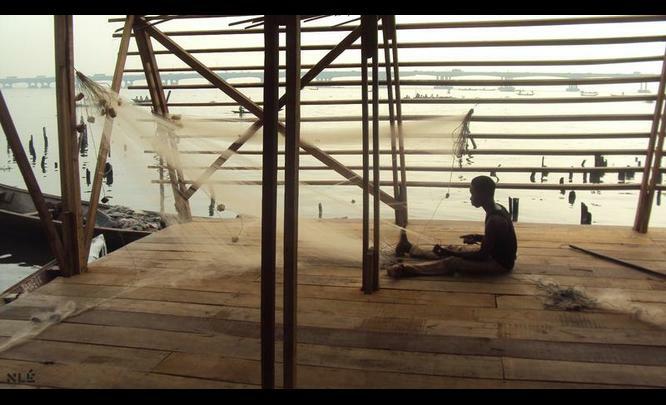 NLè Architects designed the school for Makoko water front community as a primary necessity for the village. Construction began in September 2012 with floatation mock-ups and testing. 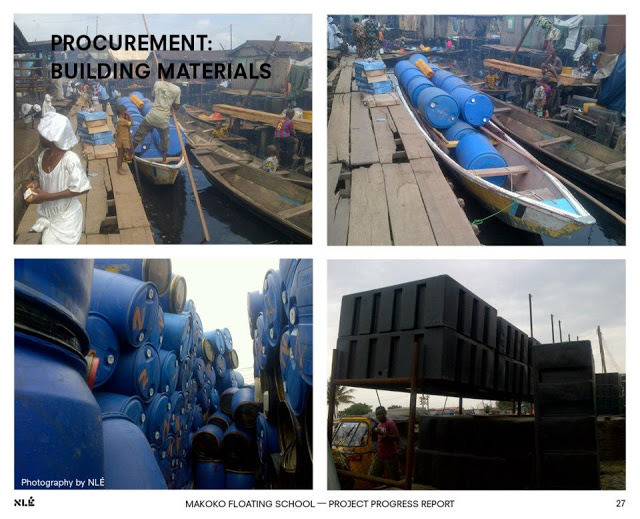 In March 2013 a team of eight Makoko based builders completed the construction of the project using eco friendly, locally sourced bamboo and wood procured from a local sawmill. 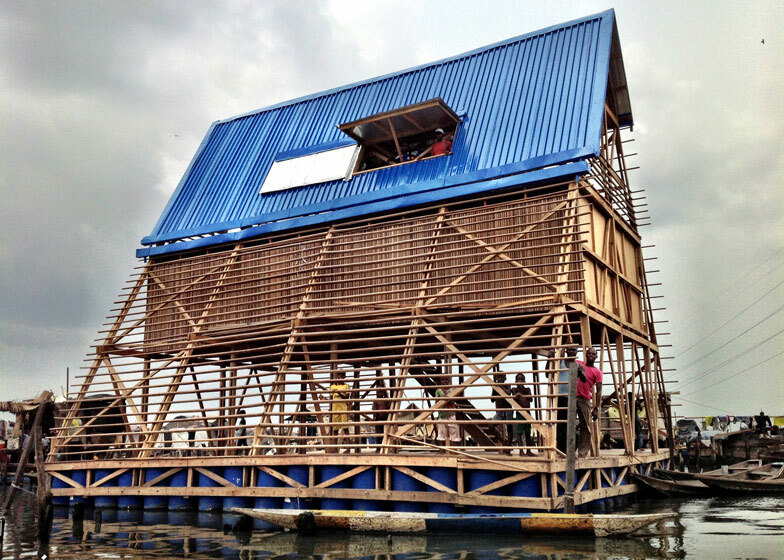 Makoko Floating School is now in regular use by the community and it can contain around 100 people. Established in the 18th century primarily as a fishing village, much of Makoko lives in structures constructed on stilts above Lagos lagoon. City leaders predict that within just a few decades Lagos's could have 40million living within its boundaries, making it the most heavily populated city in the world. The average of illiteracy among the Makoko inhabitants was really high and until now, in the village, there was only one Primary School, built on uneven reclaimed land surrounded by constantly changing waters. 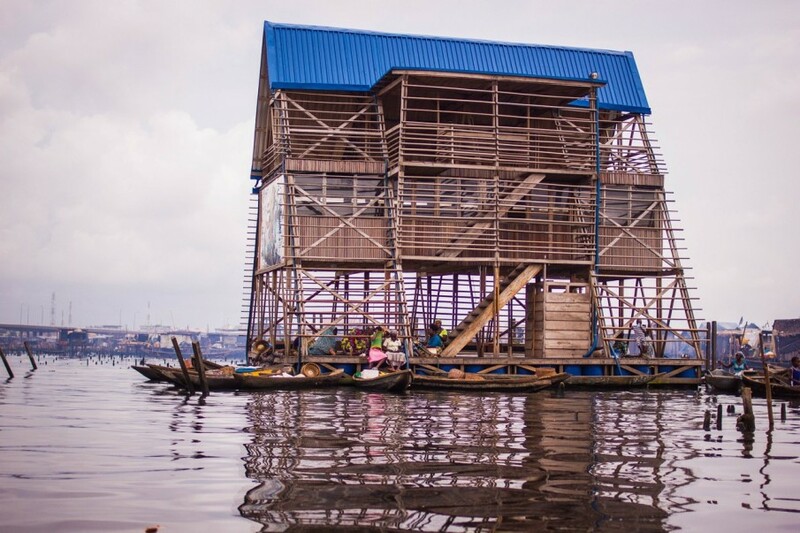 Makoko Floating school is the first structure that can provide the community against current flooding and it can be used for various activities. 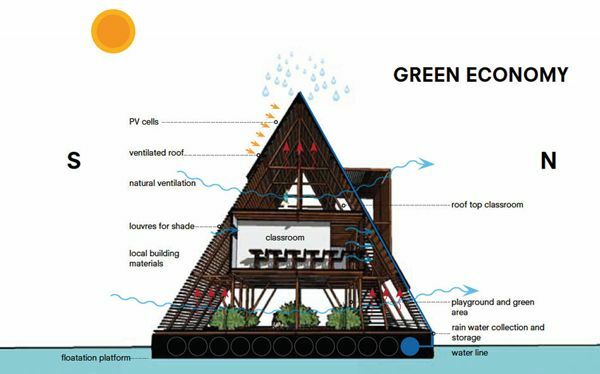 NLÉ has developed a prototype floating structure that will serve primarily as a school, whilst being scalable and adaptable for other uses, such as a community hub, health clinic, market, entertainment center or housing. The building processes of the school made the villagers aware of the construction techniques needed to rebuild such structure. 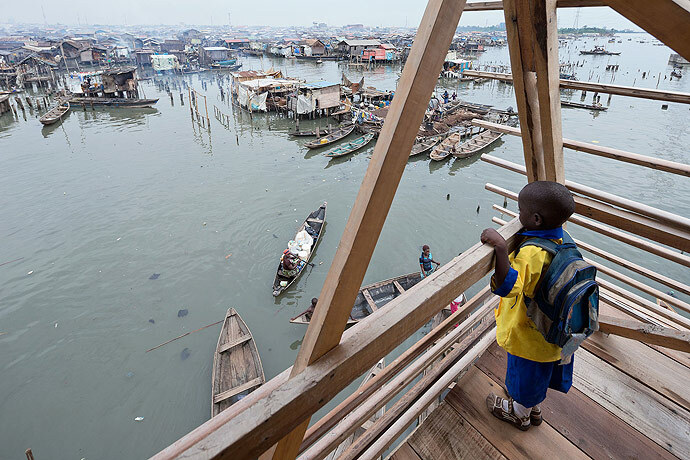 Makoko now provides children with knowledge and playground space. This three-levels structure contains classrooms in the middle, flanked by public green space and playground below and an additional open-air rooftop classroom above. It has a triangular form in section constructed with a parallel series of timber A-frames on a platform supported by emptied blue barrels. The 220m A-frame or pyramid building is 10m high with a 10m x 10m base. 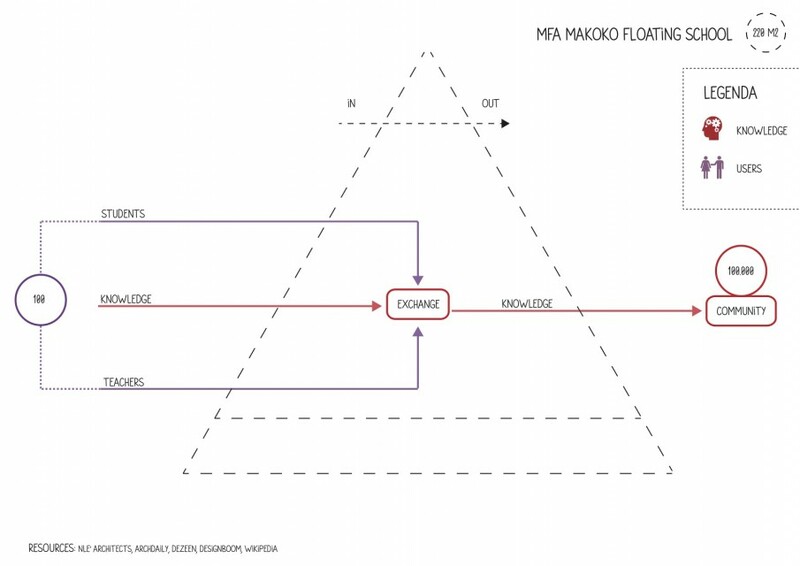 It is an ideal shape for a floating object on water due to its relatively low center of gravity, which provides stability and balance even in heavy winds. It also has a total capacity to safely support a hundred adults, even in extreme weather conditions. Slender wooden slats create a shading device along the outer envelope along with well ventilated spaces they maintain a comfortable interior environment. 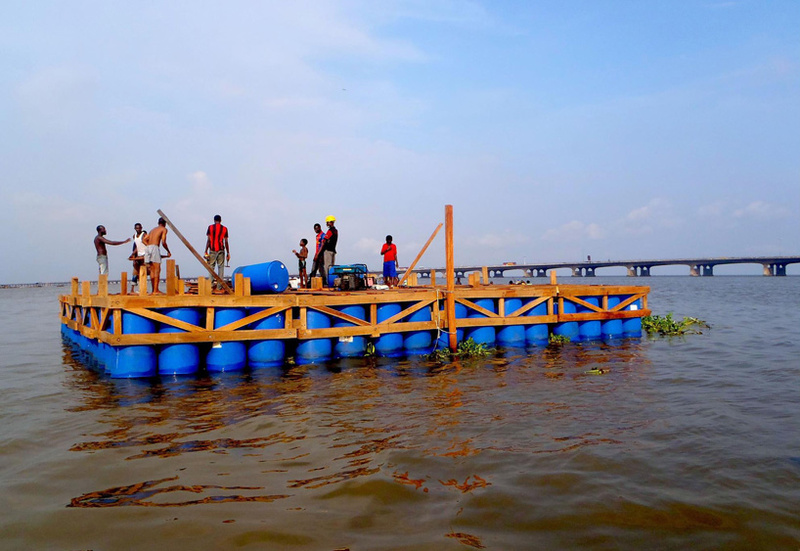 The innovative floating structure was designed with reused empty plastic barrels framed with wood. Its rooftop PV cells on the roof collect solar energy, coupled with water catchment systems make the dynamic educational facility partially self sustainable. The project was initially self-funded by NLÉ and later received research funds from Heinrich Boll Stiftung as well as funds for its construction from the UNDP/Federal Ministry of Environment Africa Adaptation Programme (AAP).